Stable stars Game Winner and Improbable were defeated in separate divisions of the Rebel (G2) last weekend as heavy favorites, a fate Hall of Fame trainer Bob Baffert surely hopes won't befall Mucho Gusto in Sunday's $800,000 Sunland Park Derby (G3). Winner of the Bob Hope (G3) and Robert B. Lewis (G3), and second to Improbable in the Los Alamitos Futurity (G1), Mucho Gusto is the 8-5 morning line favorite for the 1 1/8-mile Sunland Park Derby against nine rivals. The race will award Kentucky Derby (G1) qualifying points of 50-20-10-5 to the top four finishers. Re-routed himself from the Rebel to make room for his higher profile stablemates, Mucho Gusto could prove a serious Kentucky Derby contender in his own right with a victory Sunday. He's a son of Mucho Macho Man, who ran third in the 2011 Run for the Roses and won the Breeders' Cup Classic (G1) two years later. Unplaced in his only previous start on dirt, Anothertwistafate tries again after three blowout wins over the Tapeta surface at Golden Gate Fields. The latest of these was a seven-length score in the $100,000 El Camino Real Derby, where he garnered 10 Derby qualifying points. Cutting Humor, from the barn of Todd Pletcher, looks to fare better than he did in last month's Southwest (G3) at Oaklawn, where he finished seventh as the 2-1 favorite in his stakes debut. The son of First Samurai had previously run second to Bourbon War in an allowance. The others to watch for are the top three finishers from the $100,000 Mine That Bird Derby: Hustle Up, Wicked Indeed, and Walker Stalker. Kentucky Oaks qualifying points of 50-20-10-5 will also be on the line in the $200,000 Sunland Park Oaks at 1 1/16 miles. The heavy favorite would have been Bellafina, the 9-2 favorite in last week's Kentucky Oaks Future Wager (KOFW). 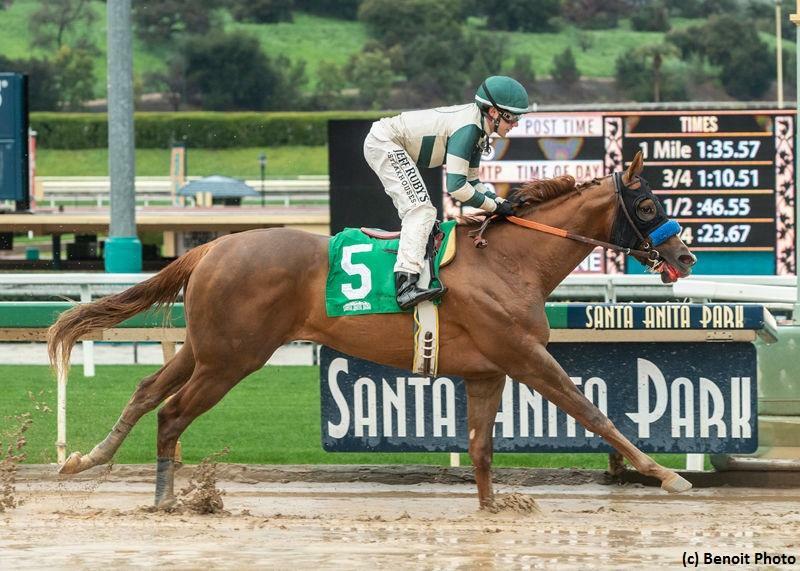 But the multiple Grade 1 winner will scratch, according to Daily Racing Form, in favor of the April 6 Santa Anita Oaks (G1) at her home track. Baffert sends out the presumptive starting favorite in Chasing Yesterday, a Tapit half-sister to Triple Crown winner American Pharoah who has won four of five starts, including the Starlet (G1) when last seen in December. Another Californian, Enlisting, enters off a 14 1/2-length maiden win for a $50,000 tag at Santa Anita in her dirt debut. She makes her first start off the claim by trainer Ron Hess. The local contingent is headed by Victim of Love, Backflash, and K P Slickem, the top three finishers in the $75,000 Island Fashion on February 24. The Sunland Park Derby and Sunland Park Oaks can be watched and wagered on at TwinSpires.com.